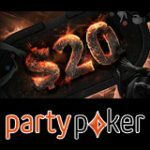 PartyCasino the Casino division of the popular PartyPoker brand have been expanding their already large range of Casino slot games over the last month and the line up now includes several of the best slot games available on the market. 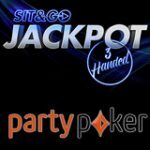 Party Casino have added new slot games from the likes of popular land based slot manufactures Williams (WMT) and International Game Technology (IGT). While also adding additional video slot games from NETENT and WIN. Lights - Video slot game features a floating Wild and Free Spins - 5-reel, 3-row, 9-bet line. 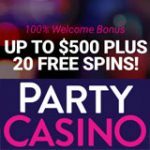 Magic Portals - features two Magic Portals that can transform matching symbols into Wild substitutions and activate Free Spins a 5-reel, 3-row 25-line video-slot. Starburst - Video slot game featuring the Starburst™ Wild with re-spins, and win both ways - 5-reel, 3-row slot. Gonzo’s Quest - A video slot with no reel spin introduces the Avalanche™ feature, and has Free Falls wins and Wild substitutions a 5-reel, 3-row, 20-line slot game. 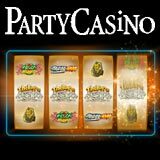 Watch a video highlighting the newly added PartyCasino slot games listed above. 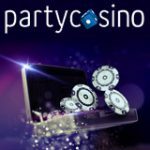 PartyCasino have offered a top-notch Online Casino venue for several years and their range extends far beyond online slots. 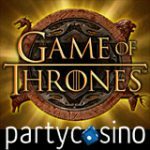 Party Casino includes live casino games and a wide range of regular casino table games like blackjack, roulette and poker that you would find in a live land based Casino. 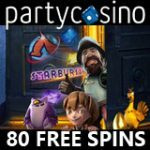 PartyCasino allows you to use you PC or mobile phone as a real live casino, you can play for free or for real and relish the excitement that is provided by the trusted name in poker.